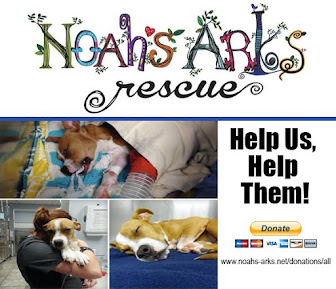 Hearts to the Rescue: Girard, GA Crossroad will tug at your heart - URGENT $100 sponsor! 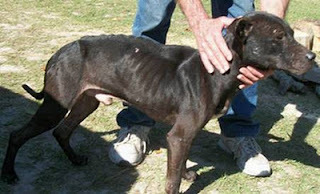 Girard, GA Crossroad will tug at your heart - URGENT $100 sponsor! Please take a moment to read this plea for help from a rescuer who already has a full plate. She could not turn her back on Crossroad..let's help her help him during this very stressful time in her life. They both need us. Someone has already stepped up with a $100 sponsorship. Please crosspost everywhere! On Nov. 1st, while taking off some tree limbs we saw this pitiful little boy standing in the middle of a busy Rd. We stopped the truck and followed him to another cross road and saw him dragging a dead deer killed by hunters and thrown on the side of the rd. This poor little fellow was dragging a deer over twice his size into the ditch on the side of the rd. and started eating. I coaxed him to me with a can of little Cesar fillet mignon dog food. 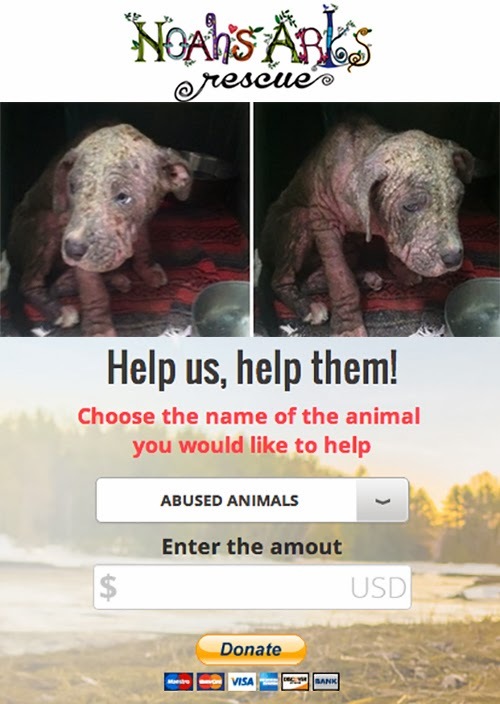 He was terribly emaciated; tick and flea infested and has many scars on his face and body. I had Sheila, my own dog in the truck with me and he made no attempt to bite her, rather wagged his skinny little tail non stop. I am presently trying to find homes for some of my rescue dogs because I have had to take my Mother in who is in stage three Alzheimer’s to keep her from going into a nursing home where I know she would not last two weeks. I am a Ga. Dept. of Agriculture licensed rescue and in a county with no animal control, I stay overwhelmed with abandoned, neglected and dumped over my fence dogs, but I could not leave little "Crossroad" there to die of starvation, parasites or hit by car. I am asking anyone who receives this e-mail who may be able to help or you know of someone who can help and is reputable to please contact me. I have had him in quarantine for one week now and he has had his first parvo distemper vaccine, been wormed and bathed plus flea and tick prevention. I am having to watch my Mother die a slow death from a horrible disease that shuts down the body. It's hard but I just couldn't leave this little guy out there to die too. No one here would take him in. They pretend they do not see....stray dogs everywhere!! 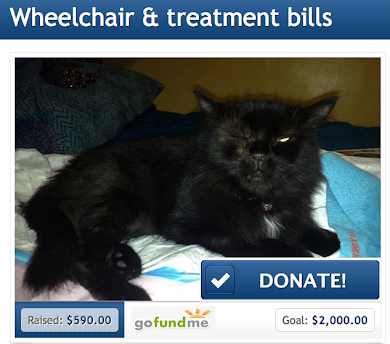 Please cross-post, please network for this little guy. He has just gotten in his adult bottom teeth. 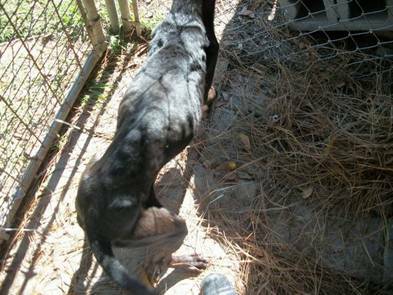 He may be stunted from malnourishment; just not sure of his age due to the condition he is in. 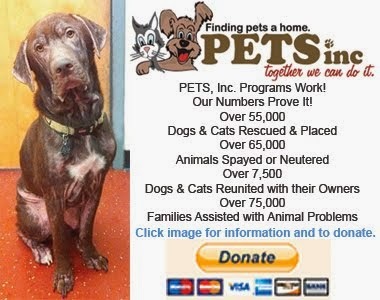 Thanks for reading and any help finding a great rescue or home for Crossroad.